29th September 1725, Styche, near Market Drayton, Shropshire, England. Robert Clive was the eldest son of Richard Clive of Styche. His mother was the daughter of Nathaniel Gaskell of Manchester. 1743: Clive was sent to Madras, India by the East India Company. Captured by the French. 1746: He escaped from the French. 1751: Robert Clive made seizure of Arcot, Capital of Chanda Sahib. Held it for eight weeks with a small force until relieved. Went on to capture other French strongholds. 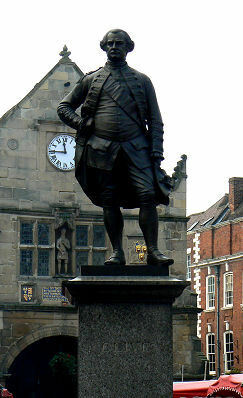 1753: He returned to England. 1755: He returned to India as Governor of Fort Saint David. 1756: Clive reduced the pirate stronghold of Gheriah. 1757: He recovered Calcutta after British incarcerated in the “Black Hole of Calcutta”. Defeated the Mughal Nawab, Sirajud Dawlah at Plassey installed Mir Jakar as the new Nawab and became the virtual ruler of Bengal. 1759: Clive repulsed Dutch colonial efforts. 1762: Robert Clive was raised to the Peerage. 1764: He returned to India as Governor and Commander in Chief of Bengal to quell the disorder, which had grown up in his absence. Reformed the Civil Service in Bengal and began the empire of British India. 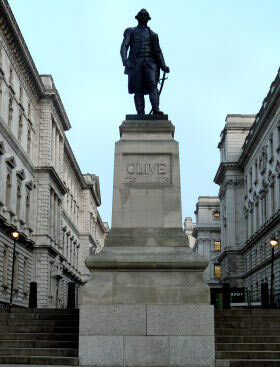 1767: Clive returned to England in shattered health to a storm of parliamentary enquiries. Committed suicide 22nd November 1774, London, England after allegations of corruption were investigated by parliament. Walcott Hall, Lydbury North, Bishops Castle was built for Clive. The Argyll and Sutherland Highlanders Regimental Museum, The Castle, Stirling. Regimental Museum of the First Queens Dragoon Guards, Cardiff Castle. 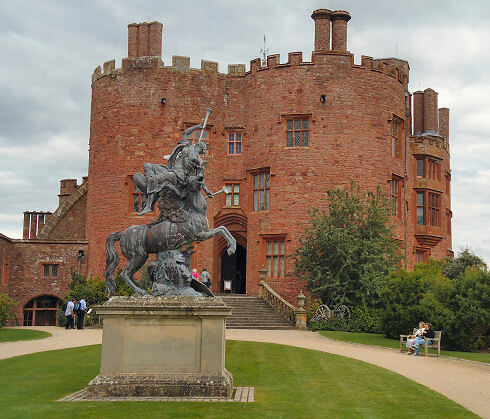 Powis Castle, Powys has a Clive Museum.